In the market for high-caliber entertainment? Check out this week's lineup of acclaimed movies showing on the big screen in and around Philadelphia. Miles Morales is juggling his life between being a high school student and being Spider-Man. However, when Wilson "Kingpin" Fisk uses a super collider, another Spider-Man from another dimension, Peter Parker, accidentally winds up in Miles' dimension. As Peter trains Miles to become a better Spider-Man, they are soon joined by four other Spider-Men from across the "Spider-Verse". As all these clashing dimensions start to tear Brooklyn apart, and Miles must help the others stop Fisk and return everyone to their own dimensions. 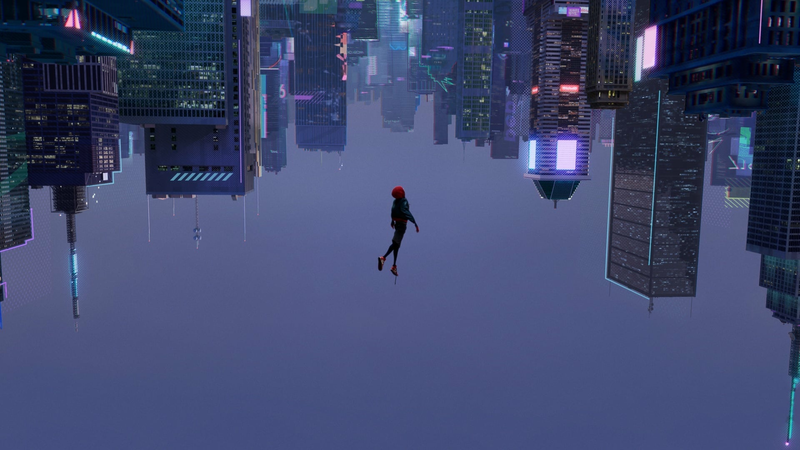 With a critical approval rating of 97 percent and an audience score of 94 percent on Rotten Tomatoes, Spider-Man: Into the Spider-Verse has been a must-watch since its release on December 14. The site's critical consensus has it that "Spider-Man: Into the Spider-Verse matches bold storytelling with striking animation for a purely enjoyable adventure with heart, humor, and plenty of superhero action." Catch it on the big screen at AMC Philadelphia Mills 14 (1149 Franklin Mills Circle) through Thursday, January 10; University City Penn 6 (4012 Walnut St.) through Thursday, January 10; UA Riverview Plaza Stadium 17 RPX & IMAX (1400 S. Columbus Blvd.) through Friday, January 11; and AMC Broadstreet 7 (1600 N. Broadstreet) through Thursday, January 10. Click here for showtimes and tickets. On the run in the year 1987, Bumblebee finds refuge in a junkyard in a small Californian beach town. Charlie, on the cusp of turning 18 and trying to find her place in the world, discovers Bumblebee, battle-scarred and broken. When Charlie revives him, and she quickly learns this is no ordinary yellow VW bug. With a 93 percent critical approval rating and an audience score of 94 percent on Rotten Tomatoes, Bumblebee has become a favorite since its release on December 21. Per the site's summary of critic reviews, "Bumblebee proves it's possible to bring fun and a sense of wonder back to a bloated blockbuster franchise -- and sets up its own slate of sequels in the bargain." It's screening at AMC Philadelphia Mills 14 (1149 Franklin Mills Circle) through Wednesday, January 9; University City Penn 6 (4012 Walnut St.) through Thursday, January 10; UA Riverview Plaza Stadium 17 RPX & IMAX (1400 S. Columbus Blvd.) through Friday, January 11; and AMC Broadstreet 7 (1600 N. Broadstreet) through Thursday, January 10. Click here for showtimes and tickets. Follows Adonis Creed's life inside and outside of the ring as he deals with new found fame, issues with his family, and and his continuing quest to become a champion. With an 83 percent critical approval rating and an audience score of 84 percent on Rotten Tomatoes, Creed II has been getting attention since its release on November 21. Per the site's critical consensus, "Creed II's adherence to franchise formula adds up to a sequel with few true surprises, but its time-tested generational themes still pack a solid punch." You can catch it at AMC Philadelphia Mills 14 (1149 Franklin Mills Circle) through Thursday, January 10; UA Riverview Plaza Stadium 17 RPX & IMAX (1400 S. Columbus Blvd.) through Friday, January 11; AMC Broadstreet 7 (1600 N. Broadstreet) through Thursday, January 10; and UA Grant Plaza 9 (1619 Grant Ave.) through Thursday, January 3. Click here for showtimes and tickets. Arthur Curry learns that he is the heir to the underwater kingdom of Atlantis and and must step forward to lead his people and be a hero to the world. With a 64 percent critical approval rating and an audience score of 81 percent on Rotten Tomatoes, Aquaman is well worth a watch. The site's critical consensus has it that "Aquaman swims with its entertainingly ludicrous tide, offering up CGI superhero spectacle that delivers energetic action with an emphasis on good old-fashioned fun." It's playing at AMC Philadelphia Mills 14 (1149 Franklin Mills Circle) through Thursday, January 10; University City Penn 6 (4012 Walnut St.) through Thursday, January 10; UA Riverview Plaza Stadium 17 RPX & IMAX (1400 S. Columbus Blvd.) through Friday, January 11; and AMC Broadstreet 7 (1600 N. Broadstreet) through Thursday, January 10. Click here for showtimes and tickets. Singer Freddie Mercury, guitarist Brian May, drummer Roger Taylor and bass guitarist John Deacon take the music world by storm when they form the rock 'n' roll band Queen in 1970. Hit songs become instant classics. When Mercury's increasingly wild lifestyle starts to spiral out of control, and Queen soon faces its greatest challenge yet - finding a way to keep the band together amid the success and excess. With a 62 percent critical approval rating and an audience score of 90 percent on Rotten Tomatoes, Bohemian Rhapsody is well worth a watch. The site's critical consensus has it that "Bohemian Rhapsody hits a handful of high notes, but as an in-depth look at a beloved band, it offers more of a medley than a true greatest hits collection." It's playing at UA Riverview Plaza Stadium 17 RPX & IMAX (1400 S. Columbus Blvd.) through Friday, January 11. Click here for showtimes and tickets.